Jesus raises the dead! In today’s reading it’s Lazarus, if you have faith in Him, one day it will be you. NOT ISOLATED FROM DIFFICULTY: Lazarus had been close to Jesus, yet he became deathly ill. The disciples may have thought, “What did Lazarus do wrong?” But the Bible helps us see that sickness and death do not indicate that God has rejected someone or that they have done something wrong. We must remind ourselves that neither we nor our loved ones are exempt. These were close friends of Jesus. Jesus loved them. Yet he did not rush to spare them grief. The presence of pain and suffering in the lives of faithful disciples of Jesus can teach us that Christians do not have different experiences in life, rather, they experience life differently. Our hope in Jesus does not insulate us from life’s difficulties, but it does provide a way through and beyond them. God can use difficult experiences to make us more compassionate servants for him as we console others. There are more great *Life Applications like this in today’s reading. The Gospels tell us that Jesus raised others from the dead, including Jairus’s daughter (Matthew 9:18-26; Mark 5:41-42; Luke 8:40-56) and a widow’s son (Luke 7:11-17). These people represent a cross section of ages and social backgrounds to whom Jesus gave back human life. All of them, including Lazarus, were raised but eventually died again. Lazarus’s story stands out because John used it as a sign of Jesus’ ultimate life-giving power and a picture of his own coming resurrection. And, as with all the miracles recorded in this gospel, it glorifies God. From John’s perspective, this miracle was the turning point; it caused the Jewish leaders to take decisive action against Jesus. 11:1-3 Though John only introduces us to the family of Mary, Martha, and Lazarus at the end of Jesus’ ministry, Jesus and the disciples often visited their home. Jesus enjoyed their close friendship and hospitality on his visits to Jerusalem, for Bethany was a village just outside of the city. At this time, Jesus was on the other side of the Jordan River, also in a town called Bethany. The events described in Luke 13:22–17:10 occurred between chapters 10 and 11 of John. John identified Mary with an event described in the next chapter (12:1-7) because Mary’s display of love for Christ was well known to the first-century Christians (Matthew 26:6-13; Mark 14:3-9). Lazarus was sick, so the sisters contacted Jesus, their friend who had healed so many. 11:4 When Jesus heard of Lazarus’s sickness, he said it will not end in death. He knew Lazarus would die, but the end of the story would not be death. His disciples understood him to mean that the illness was not serious. Again, we see the parallel between Jesus’ response here and in 9:3. In the former passage, Jesus spoke of the man’s blindness as an opportunity for God’s works to be seen. Lazarus’s death was an opportunity for the Son of God to receive glory. God strategically placed some miracles in human history to demonstrate his wise providence and his sovereignty. Romans 5:3-5 : For early Christians, trials and suffering were the rule rather than the exception. We rejoice in suffering, not because we like pain, but because we know God is using life’s difficulties to develop our perseverance. Ask God for strength to deal with every difficulty. Hebrews 12:4-11: It is never pleasant to be corrected by hardships, but God uses them to discipline us. Trials of this kind are a sign of God’s love. When hardships redirect our path, we must see them as proof of God’s fathering care and discover what he wants to teach us. 1 Peter 1:6-7: All believers face trials. We must regard them as part of the refining process that burns away impurities and thereby prepares us to meet Christ. James 1:2-4 : Trials develop strength of character in true disciples. Facing trials can help us grow to be mature and complete in our faith. 11:5-7 This statement of Jesus’ love for the family explains that it was not lack of love that kept Jesus from going to them. Humanly speaking, Jesus would have wanted to go to them immediately. But he was constrained by the Father’s timing. When God’s time came, Jesus headed back into Judea to be with his dear friends in their sorrow. God’s timing is always perfect, whether in guiding his Son through his ministry on earth, or in guiding us today and answering our prayers. Jesus loved this family and often stayed with them. He knew their pain but did not respond immediately. His delay had a specific purpose. God’s timing, especially his delays, may make us think he is not answering or is not answering the way we want. But he will meet all our needs (Philippians 4:19) according to his perfect schedule and purpose. Often when we pray, circumstances seem to actually worsen. We are tempted to doubt and despair. But delay itself builds patience. Our patience improves as we trust in his timing. 11:8-10 The disciples couldn’t understand why Jesus would want to go into Judea, when the Jewish leaders there just recently had been seeking to kill him (see 10:31ff.). Why leave a place where people believe in you and welcome you (10:42) to go back to certain death? But Jesus was not afraid, for he knew that he had to die and that his death would only occur in the Father’s timing. Sometimes we offer a passionate prayer of need, and God answers quickly. We are thankful and excited, and our faith is often strengthened. At other times it seems that God will never answer our prayers. We can’t understand, because we know that we prayed for God’s will. What should we do? We should wait in faith, knowing that God has our best interests in mind. We may never see our prayer answered in our lifetime; we may wait many years only to see God answer the prayer in another way altogether; we may find that God’s final answer is no. Whatever the case, God’s decision is best and his timing is right. The disciples worried about what the Jewish leaders might do. Jesus pointed to an unlimited sphere—the sovereignty of God, who transcends the limits of time and over whom people have no control. As Jesus obeyed his Father, he was as confident about the victorious outcome as he was that every day contained twelve hours of daylight. We should remember that God’s sovereignty extends to each moment of our life; otherwise, our trust in him will be limited to only those times when he meets our expectations. We will repeat the disciples’ mistake—attempting to limit God to the sphere of human effort. Jesus’ answer mentioned an expected number of “hours” during which people can walk safely. It also clearly implied that time would run out. After twelve hours of daylight the night comes. Our Lord’s “day” (his time on earth) was approaching its final hour. But Jesus still had tasks to accomplish, and he would not be sidetracked from his mission. The simple lesson of using daylight to walk safely illustrates our deeper need to trust in the “light” of Jesus’ presence and God’s guidance. Jesus had already used the phrase “the light of the world” to refer to his own presence among people. While he was among them, he was their light (see 1:4; 8:12; 9:5). As long as they did their work in the light of Christ’s presence they would not stumble. Sadly, those who live in the dark, without the presence of Jesus’ light in them, will stumble. *LIFE APPLICATION: HOW DO TRIALS GLORIFY GOD? They develop our Christian character as we exercise patience (Romans 5:1-5), and they provide an example of strength, courage, and dependence on God to unbelievers. They wean us from life’s attractions, diversions, and illusions as we focus on God for help. They reveal the flimsy grip we have on health and prosperity in this life, as we realize that we must trust in God for our security. They intensify our desire to be with God in eternity, where we will receive new bodies and be reunited with loved ones who have gone before us. They provide opportunities to portray how God’s timing expresses his love to us. Many Christians who have faced calamity testified later how God’s timing showed them a new side to his love. Jesus received his guidance from the highest source—the Father. The disciples were tempted to receive their guidance from the most immediate source—their circumstances. They worried about what they could “see” nearby; Jesus reminded them to walk by a brighter light. When making decisions, we should analyze our circumstances but not regard them as infallible guides. If we rely on our circumstances for guidance too much, we will walk in circles. Just as Jesus took charge of his day, we should take charge of our days. We need not rush around, frantically or fearfully trying to stay ahead of uncontrollable circumstances. Rather, we can ask for his help in making wise use of our available time and opportunities. Our first question should be: What would Jesus have me do? 11:11-15 The disciples missed Jesus’ meaning when he said, “Lazarus has fallen asleep.” They assumed he was getting better. Jesus explained: “Lazarus is dead.” Lazarus died so that Jesus could show his power over death to his disciples and others. He would go and wake him up, thus giving the disciples another opportunity to believe. The raising of Lazarus displayed Christ’s power—the resurrection from the dead is a crucial belief of Christian faith. Jesus not only raised himself from the dead (10:18), but he also has the power to raise others. The disciples heard the word sleep and misunderstood Jesus’ intention to go there personally to awaken Lazarus from death. Only Jesus can refer to death as sleep because only he has power over death. From a human perspective, death is very real and final. People who call death “sleep” are trying to soften the reality of death and keep the living from taking the issues of death and sin seriously. For those who believe in the resurrection, death is merely sleep in comparison to eternal life. Those who do not believe need to wake up to Christ’s power while they still have the opportunity. 11:16 We often remember Thomas as “the doubter” because he doubted Jesus’ resurrection (20:24-25). But he also loved the Lord and was a man of great courage. The disciples knew the dangers of going with Jesus to Jerusalem, so they tried to talk him out of it. Thomas merely expressed what all of them were feeling. When their objections failed, they were willing to go and even die with Jesus. They may not have understood why Jesus would be killed, but they were loyal. We may face unknown dangers in doing God’s work. It is wise to consider the high cost of being Jesus’ disciple. Thomas was ready to move out. Courage often boils down to trusting Jesus and moving out. Emotionally, the experience is much like the first time off a high dive or the first public speech. The stakes may be higher, but so are the benefits. We don’t realize God’s power until we take the first step. Thomas was the first to step out in faith. Sooner or later you too will have the opportunity to take a step of courage. And your step may motivate others to take action too. Ask God for the courage you need. Although we get many glimpses of Jesus’ compassion throughout the Gospels, his tender conversations with Mary and Martha are the most moving. His words reveal patient pastoral concerns. Elsewhere we see him confront people with the truth; here we see him console as the gentle Master. Jesus did not ridicule or belittle grief. He affirmed our need for comfort by providing it to the sisters without hesitation. It is a tribute to the family that many from Jerusalem came to Bethany to pay their respects and offer their support to the sisters. 11:17-19 Lazarus had already been in his grave for four days by the time Jesus arrived. In the warm climate of Palestine, a dead body would decompose quickly, so a person’s body was often buried the same day of death. When Jesus and the disciples arrived in Bethany, many Jews from Jerusalem had gathered to console Lazarus’s family, and some of those who had arrived were religious leaders. In Jewish society, prolonged mourning for the dead was considered an essential part of every funeral. Measured by our timetable, many of our prayers’ answers may seem delayed. But knowing that we deal with a wise and loving God, we must consider that the problem may be with our timetable rather than God’s. Though we experience delays, we can be sure that Jesus does initiate help for us. He will come to our aid. His help may well come in different ways and forms than we expect, but we can depend on his dependability! God will come to you in your time of need. 11:20-24 Upon seeing Jesus, Martha said to him, “Lord, if you had been here, my brother would not have died.” Martha probably realized that Jesus could not have arrived much earlier, but she was confident that Jesus’ presence would have prevented Lazarus’s death. Mary makes the same comment later (11:32). Despite their pain and sorrow, their faith in Jesus did not waver. The implication for us is that we should not quickly assume that God has let us down when we are in the midst of difficulties. Then she added, “But even now I know that God will give you whatever you ask.” Perhaps Martha thought Jesus would bring her brother back to life. But her reply in verse 24 and subsequent protests at the tomb (11:39) suggest otherwise. She did not realize, understand, or dare to hope that Jesus would ask God to give Lazarus back his physical life and be returned to his family. Instead, she reaffirmed her trust in his power even though she thought Jesus had missed an opportunity to display it by healing her brother. When Jesus said, “Your brother will rise again,” she attributed it to the future resurrection—“When everyone else rises, on resurrection day.” But Jesus did not mean an eventual, distant resurrection, he meant that Lazarus would rise again that very day! Lazarus had been dead four days. How could Mary and Martha have imagined that they would soon be feasting with him and with Jesus (12:1-2)? But when Martha said “Even now” she was opening a door of faith wider than she could have anticipated. From the depth of her loss and sorrow she clung in faith to Jesus. The eventual results were astonishing! There is always enough time for Christ to act. We must continue to trust in him. 11:25-26 To the woman at the well (4:25-26), Jesus identified himself as the Messiah; to the blind man (9:35-37), he disclosed himself as the Son of Man; but here he enlarged the picture by revealing himself as the source of resurrection life. The believer will not experience eternal death. Lazarus had been a believer in Jesus; therefore, even though he died, he would live. Every believer who has died will yet live, and everyone who is still living and believing will die, but not eternally. Christ did not promise the prevention of physical death; he guaranteed in himself to give abundant life, including resurrection and eternity with him. Christ did not prevent Lazarus’s physical death (after being raised, Lazarus would eventually die again), but Lazarus had the guarantee of eternal life. LIFE APPLICATION: YOU WILL LIVE! Jesus has power over life and death as well as power to forgive sins. This is because he is the Creator of life (see 14:6). He who is life can surely restore life. Whoever believes in Christ has a spiritual life that death cannot conquer or diminish in any way. When we realize Christ’s power and how wonderful his offer to us really is, how can we help but commit our lives to him! Those who believe have wonderful assurance and certainty: “Because I live, you also will live” (14:19 niv). Is Jesus the Lord of your life? 11:27 Martha is best known for being too busy to sit down and talk with Jesus (Luke 10:38-42), but here we see her as a woman of deep faith. When asked if she believed his words about resurrection, she replied, “I have always believed you are the Messiah, the Son of God, the one who has come into the world from God.” Her statement of faith is exactly the response that Jesus wants from us. 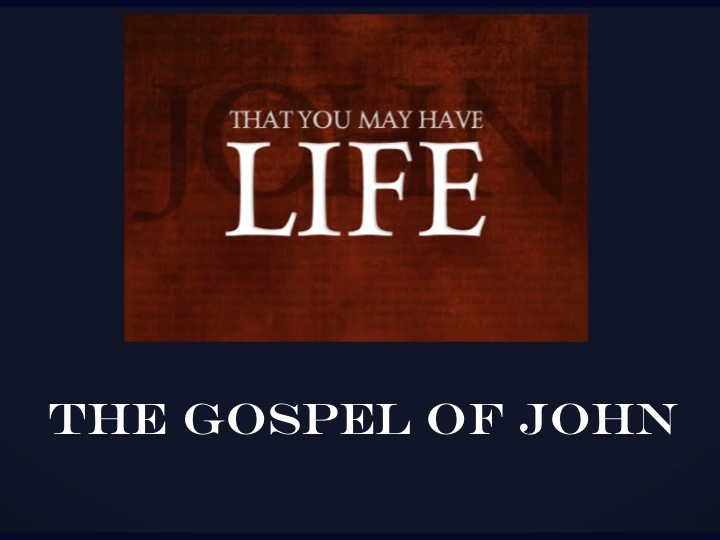 This confession presents a high point in John’s Gospel, for here we see a believer acknowledging that Jesus is the Messiah, the Son of God. In recognizing Jesus as the Messiah, she saw him to be God’s envoy appointed to deliver God’s people; in recognizing Jesus as the Son of God, she saw his divinity. 11:28-32 Martha spoke to Mary secretly so that the visiting Jews would not follow her to where Jesus was—somewhere outside the village. However, when Mary arose quickly to go to Jesus, she was followed by the mourners. Mary met Jesus and repeated Martha’s statement (11:21). They were both convinced that Jesus would have been able to do something had Lazarus still been living. But they had no idea that death might be reversible. 11:33-37 The Greek word for deeply troubled can mean “intensely agitated.” Jesus may have been troubled by the excessive sorrow of the mourners, by Martha and Mary’s limited faith, or by the general unbelief. Even more so, Jesus was angry at the power of death, man’s ultimate enemy (1 Corinthians 15:26). Among the commotion and the loud wailing of the mourners, Jesus wept. What made Jesus cry? Was it his love for Lazarus? Was it the presence of sadness and death? Or was it the faithless grief that surrounded him? For whatever the reason, the situation caused Jesus to shed some tears. The Jews’ interpreted Jesus’ tears as a sign of Jesus’ great love for Lazarus. They assumed that Jesus wept in frustration and sorrow that he had not arrived earlier in order to heal Lazarus. Following Martha and Mary, others also asked, “This man healed a blind man. Why couldn’t he keep Lazarus from dying?” (referring to Jesus’ previous miracle—see 9:1-7). As this chapter opens, we see Mary, Martha, and the crowd expressing conditional belief in the power of Jesus. They believed that Jesus could have worked a miracle if Lazarus had still been alive. But death intervened, and they thought it was irreversible. Little did they know that what they considered impossible would soon be overcome by God’s power. 11:38-39 John once again tells us that Jesus was deeply troubled (see 11:33). Lazarus was buried in a cave with a stone rolled across its entrance. Tombs at this time were usually caves carved in the limestone rock of a hillside. A tomb was often large enough for people to walk inside. Several bodies would be placed in one tomb. After burial, a large stone would be rolled across the entrance to the tomb. This burial spot was much like the one in which Jesus would be buried. Jesus said to the crowd, “Roll the stone aside.” When Jesus asked that the stone be removed, Martha protested. John stresses that we have a God who cares. This portrait contrasts with a Greek concept of God that was popular in John’s day—a God with no emotions and no empathy for humans. Here we see many of Jesus’ emotions—compassion, indignation, sorrow, even frustration. He often expressed deep emotion, and we must never be afraid to reveal our true feelings to him. He understands them, because he experienced them. Be honest, and don’t try to hide anything from your Savior. He cares. 11:40 The purpose of the whole event was for Jesus to exhibit God’s glory. Jesus had proclaimed this from the moment he heard about Lazarus’s sickness (11:4). In order for the miracle to occur and for God to be glorified through it, the sisters would have to believe enough to order the stone to be removed from the tomb’s entrance. Because of Jesus’ constant interaction with his Father, we can surmise that he had been praying about Lazarus for some time. Jesus was confident that his Father listened to him. His confidence, “I knew that you always hear me,” was expressed for our benefit. He wants us to believe, and he said so (11:42). Our prayers are arrogant if we assume how God will answer. Our prayers are confident if we affirm that God listens. Our confidence comes not from what we pray or how we pray but to whom we pray. God does not require volume or repetition. The whispered simple prayer echoes in the halls of heaven as loudly as the lofty composition voiced in unison by thousands. God listens when you pray! 11:41-44 While the crowd waited beside the tomb—with the stone now rolled aside from its entrance—Jesus praised his Father aloud, publicly, so that, upon witnessing the miracle of resurrection, the people might believe in Jesus. His prayer was not a petition, but a prayer of thanks to the Father. Jesus knew that his request would be answered. Jesus was and is the giver of life. He brings a second birth to those who are dead in sin. But his gift of forgiveness and the indwelling Spirit do not create instant, perfect Christians. We enter Christ’s kingdom with many of the old wraps still around us. Old habits and sinful behaviors, painful memories—all these require gentle, loving removal. Like graveclothes, we no longer need them. We need fellow Christians and Christ’s power to unwrap us. It is Jesus’ command that our healing be complete. Who can you help “unwrap”? Some eyewitnesses to the raising of Lazarus reported to the Pharisees in Jerusalem, only a couple of miles away. This fresh evidence of Jesus’ power threw the Pharisees into a panic. What followed is a priceless opportunity for us who know the full story to see how badly mistaken people can be in their assessment of events. 11:45-46 Jesus’ words and works, even today, divide people into two camps—believers and unbelievers. Many people can see the same miraculous event, yet walk away being affected differently. The raising of Lazarus was stunning to many, so that many of the witnesses believed in Jesus as the Messiah. Yet other Jewish onlookers did not believe; they brought word of what had happened to the Pharisees, who were looking for a reason to kill Jesus (7:1, 19, 25; 8:37, 40). In their eagerness to eliminate Jesus, Caiaphas and the Sanhedrin demonstrated their willingness to deliberately misuse truth to serve their own needs. They began with the right question (“What are we accomplishing?”) but were not open to its most obvious answer (“We are rejecting the Messiah”). They admitted in private that Jesus did miracles, but they publicly rejected the truth of those miracles. They realized that people were actually believing in Jesus, but they regarded their belief as a threat. Caiaphas affirmed their ignorance of the real issues. Caiaphas proposed the exchange of one person’s life to maintain their power. He missed the actual plan of God—exchanging Jesus’ life for the salvation of anyone who believes. 11:47 The high council was the highest ruling authority among the Jews in Judea. It was composed of seventy-one members: The high priest presiding over seventy religious leaders, the majority of whom were Sadducees and the minority, Pharisees. “What are we going to do?” they asked. The dialogue that follows points clearly to the Jewish leaders’ single-minded opposition to Jesus. John captured the irony of their conversation as they used every true statement to lead to wrong conclusions. 11:48 It was Rome’s custom to allow conquered people to carry on their religious practices as long as they did not lead to rebellion against Rome. Jesus’ miracles, however, often would cause a disturbance. If all the Jewish populace would follow Jesus as their Messiah-King, the leaders feared that the Roman army would take away their limited privileges of self-rule, as well as destroy the Temple and the nation (see Acts 6:13; 21:28). The opposition to Jesus was not so much personal as it was that he threatened the status quo and the positions of some of the leaders. Churches, social groups, and other organizations tend to respond to change in the same ways. It is the person doing things differently, making changes, and promoting progress, who is considered dangerous. Some leaders want to keep on doing as they have always done. Jesus’ experience with the Jewish religious leaders shows what we can expect if we push for change and what we should watch out for in ourselves. Since Caiaphas served as a high priest for eighteen years (a.d. 18 to 36), the expression that year refers to that one year in which Jesus was crucified. The office of high priest was originally instituted by God to be a lifetime position (Numbers 35:25); but the Romans did not want any one person to become too powerful, so they appointed high priests and placed a new one in position whenever they wanted. Caiaphas was convinced that nothing short of destroying Jesus would save Israel from being destroyed by Rome. The life of one person was considered cheap and expendable as an alternative to endangering the nation. God used his words to express an unwitting prophecy of universal proportions: “Let this one man die for the people.” One man did have to die in order that the world might be saved. The words of Caiaphas were really a prophecy. Though his intent was sinful, God used him to indicate that Jesus should die for the entire nation. In addition, Caiaphas didn’t think of it himself; he was inspired to say it. The irony of Caiaphas’s statement that John didn’t want his readers to miss was that Jesus’ death, intended to spare the nation of Israel from physical destruction, was actually to spare Israel from spiritual destruction. In the end, Jesus’ death was for the gathering together of all the children of God scattered around the world. John’s reference to the scattered children of God included not only the Jews spread throughout the world but also all those who would believe. We too are among the scattered for whom Jesus died. This theme is expanded in 2 Corinthians 5:11-21 and Ephesians 2:14-22 and referred to as the doctrine of reconciliation. Through his death Jesus provides the way all people can be reconciled to God and then to each other. Unity in Christ is not a sentimental feeling but a reality that we can experience even within the limitations of a sinful world. When our sins are pardoned we have the freedom to truly relate to each other in love. 11:53 The Jewish leaders missed the prophetic implications of Caiaphas’s statement, and began to plot Jesus’ death. But evil leaders, no matter how long they have power or how evil their actions, are always under God’s control. 11:54 Aware of the plot against his life, Jesus went to a place near the wilderness. Ephraim may have been the same place as Ophrah, near Bethel (see 2 Chronicles 13:19). Jesus and his disciples stayed there until the time of the Passover. 11:55-57 This Passover probably occurred in a.d. 30, the year of Jesus’ death. Everyone in Jerusalem during the Passover celebration knew that the chief priests and Pharisees wanted to arrest Jesus. Furthermore, they were under strict orders to report Jesus’ whereabouts. Into this tense scene Jesus would make his triumphal entry (12:12ff.). Even when confronted point-blank with the power of Jesus’ deity, some refused to believe. These eyewitnesses not only rejected Jesus, they plotted his murder. They were so hardened that they preferred to reject God’s Son rather than admit they were wrong. Beware of pride. If we allow it to grow, it can lead us into enormous sin.